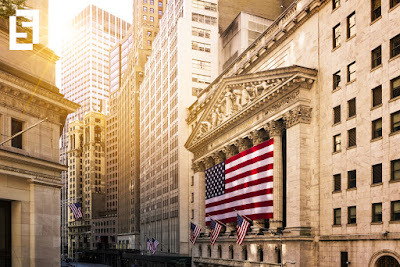 US equity index futures were set for a lower open on Wednesday as a political turmoil in the United States continued to weigh on market sentiment. The Washington Post reported that President Donald Trump asked former FBI Director James Comey to stop the investigation that targeted his national security advisor at the time, Michael Flynn. Media outlets said the memo that includes this conversation is about two pages long and contains lots of relevant details on the matter. Allegations on Trump opening up highly classified information on the Islamic State were also released by the Washington Post earlier this week. On Tuesday, the Republican leader responded via Twitter that sharing details over this issue is the right thing to do. Many politicians, including members of the GOP, have suggested an independent investigation to judge on Trump’s alleged actions. In this regard, investors are increasingly concerned about the possible effects of these scandals to the long-awaited tax reform or deregulation initiatives. The Dow Jones industrial average ended with a moderate loss, with UnitedHealth and Nike falling the most and Microsoft as the top advancer. The S&P 500 also moved into red territory, but the Nasdaq posted gains as major tech giants rose by the end of the session. In economic news, building permits for April came down by 2.5 percent to 1.229 million units, while housing starts marked its worst performance in nearly five months, falling 2.6 percent to 1.172 million units, compared to expectations for a rise to 1.260 million. Political uncertainty in the world’s first economy has pressured the greenback. The US dollar index, which gauges the American currency against a basket of six major rivals, was down 0.16 earlier this morning, trading around 97.85. Market participants are gradually flying away from risky assets and moving into safe-havens such as gold, euro and yen. The yellow metal futures were trading 0.83 percent higher at time of writing at 1,246.70 per troy ounce. As there are no relevant publications due for today, investors will likely focus on the weekly crude inventory stats from the US Energy Information Administration at 14:30 GMT. Analysts are pointing at a 2.360 million barrels reduction in the week ended May 12.